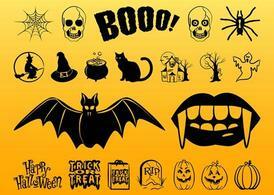 Cute vector set with Halloween illustrations. Set of Halloween greeting card with handwritten calligraphy quotes and words. Night Paty neon sign. Happy Halloween. Neon sign, bright signboard, light banner. 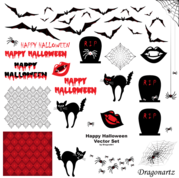 Set of halloween banner templates. Monster characters.